Tourism New Zealand is running “100% Middle Earth”, an integrated advertising campaign connecting the cinematic world of Middle Earth as revealed in the upcoming motion picture The Hobbit: An Unexpected Journey. 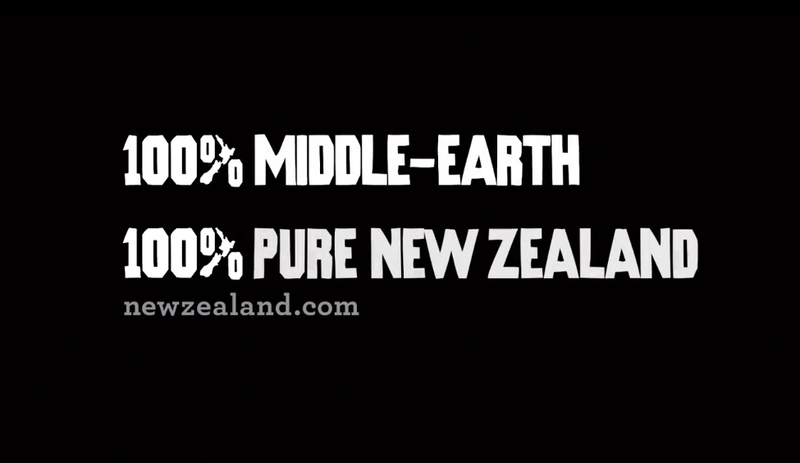 The campaign, online at newzealand.com, is supported by film studios Warner Bros. Pictures and Wingnut Films, and Air New Zealand, the official airline of Middle Earth. The Middle Earth campaign was developed at Whybin\TBWA, Auckland, by executive creative director Andy Blood, xecutive creative directors Matty Burton and Dave Bowman (TBWA Sydney), creative director Craig Farndale, digital creative director Ross Howard, copywriters Ryan Price, Lucy Morgan, Andy Blood, Tammy Keegan, art directors Cece Chu, Craig Brooks, Andy Blood, designer Chris Lewis, head of strategy Hristos Varouhas (TBWA Sydney), senior planner Julie McIver, agency producer Jackie Clark, group head Natasja Barclay, account director Mandy Eckford, senior account manager Julia McKee, account executive Lynlee Smith. The newzealand.com website was developed at TBWA\Digital Arts Network by creative director Mark Zeman, account director Stephanie Creasy, project manager Louise Leitch, senior designer Jonathan Mead, production specialist Andrew Zen, production specialist Nigel McHardy, developers Sam Kwan and Patrick Li. Filming was shot by director Darryl Ward via Curious Film with producer Andy Mauger, executive producer Matt Noonan, director of photography Lachlan Milne, online editor Nigel Mortimer and editor Tim Mauger. Music was composed and produce by Dave Whitehead at White Noise Ltd and produced by Mike Gibson at Munki Studios. Audio post production was done at Digital Post and Factory Studios by audio engineer Clive Broughton. Sound was re-recorded and mixed for cinema versions at Park Road Post by Mike Hedges. Colourist was Pete Richie at Toybox. Stills photography was by Fraser Clements at Match Photography.